Born in 1909 in Jackson, Mississippi, the daughter of Christian Webb Welty and Chestina Andrews Welty, Eudora Welty grew up in a close-knit and loving family. From her father she inherited a "love for all instruments that instruct and fascinate," from her mother a passion for reading and for language. With her brothers Edward Jefferson Welty and Walter Andrews Welty, she shared bonds of devotion, camaraderie, and humor. Nourished by such a background, Welty became perhaps the most distinguished graduate of the Jackson Public School system. She attended Davis Elementary School when Miss Lorena Duling was principal and graduated from Jackson's Central High School in 1925. Her collegiate years were spent first at the Mississippi State College for Women in Columbus and then at the University of Wisconsin where she received her bachelor's degree. From Wisconsin, Welty went on to graduate study at the Columbia School University School of Business. After her college years, Welty worked at WJDX radio station, wrote newspaper stories for the Memphis Commercial Appeal, and served as a Junior Publicity Agent for the Works Progress Administration. She published her first story, "Death of a Traveling Salesman," in 1936 the editor of Manuscript literary magazine called it "one of the best stories we have ever read." Between 1936 and 1941, Welty published many a story, and in 1941 those stories were collected in a book called A Curtain of Green. She would go on to publish The Robber Bridegroom, The Wide Net, The Golden Apples, The Bride of the Innisfallen, and Losing Battles. In 1973 Welty won the Pulitzer Prize for her novel The Optimist's Daughter. Welty's autobiography One Writer's Beginnings was published in 1984 by Harvard University Press and was a nationwide best seller. Her numerous honors included membership in the National Institute of Arts and Letters and the Fellowship of Southern Writers. She has received the National Medal of Freedom, the National Medal of Arts, and the French Legion d'Honneur. All these honors eloquently testify to Eudora Welty's stature in American letters. As Reynolds Price in 1969 observed, no one in America "has yet shown stronger, richer, more useful fiction," and Price added that Welty's work called to mind the fiction of Turgenev, Tolstoy, and Chekhov as her "peers for breadth and depth." An accomplished photographer as well as writer, Welty first exhibited her photographs at New York City's Lugene Galleries in 1936. Her photograph book One Time, One Place was published in 1971, and more photographs have subsequently been published in books titled Photographs (1989) and Country Churchyards (2000). 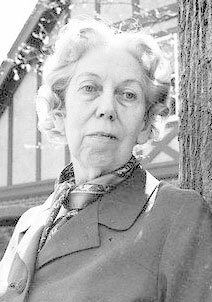 The death of Eudora Welty on July 23, 2001, was a tremendous loss for her readers, for those who love her photographs, for her family, and for her legion of friends. But her photographs will continue to shape our vision of the South, and her voice will still be heard. It will be heard in high schools and university classrooms across America and the world; it will be heard by scholars who devote their lives to the study of her fiction; and it will be heard by scores of individual readers, who find themselves powerfully responding to works of imagination made for the imagination. Eudora Welty will endure in the continuity of love readers everywhere feel for her life's work.